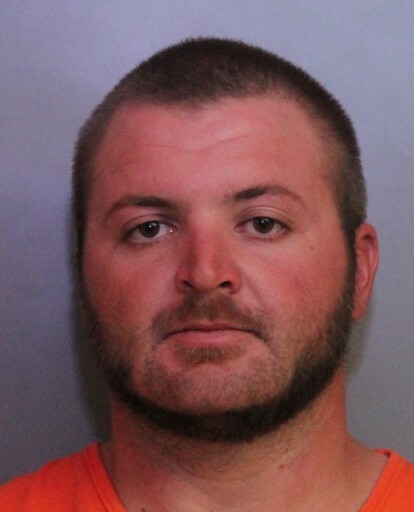 Winter Haven (WTFF) – A Polk County man was arrested for reportedly stealing a Jeep in order to look for his lost cellular phone. 25-year-old Ronnie Dillon Willis is facing one charge of “Grand Theft – Motor Vehicle Less Than 100K” for his actions. 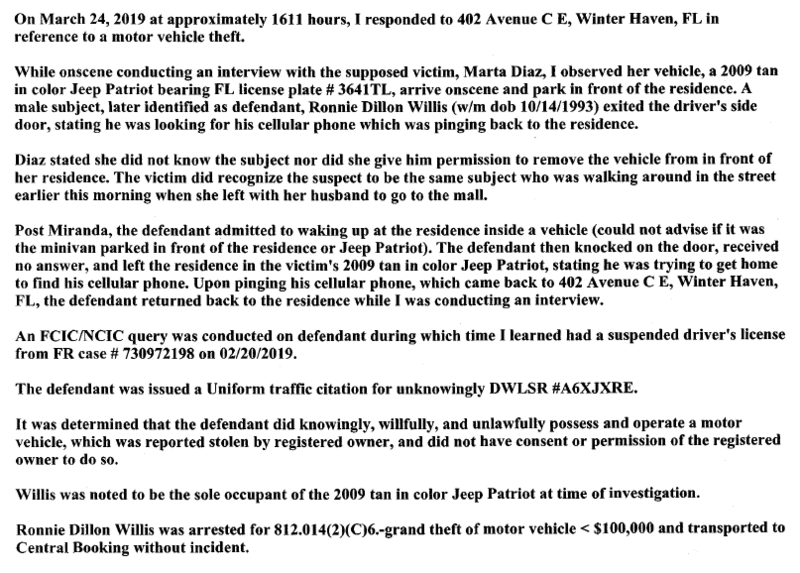 The arrest affidavit declares that on March 24, an officer was interviewing the “supposed victim” when her tan 2009 Jeep Patriot pulled up in front of her house. Willis hopped out and explained that he was looking for his cell phone, which was “pinging back to the residence,” the report states. 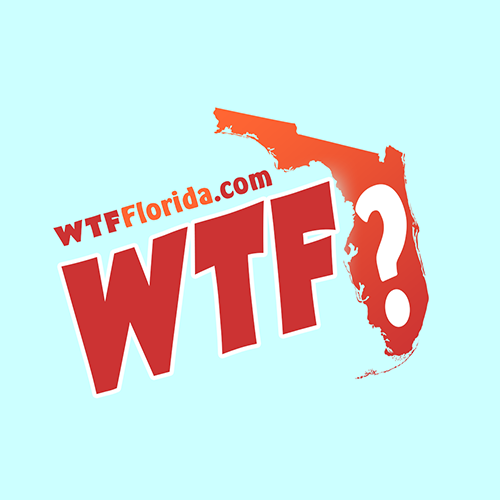 After being arrested, the Florida man “admitted to waking up at the residence inside a vehicle,” but couldn’t remember if it was the minivan parked in front of the house or the Jeep Patriot. Willis said he “knocked on the door, received no answer, and left the residence in the victim’s 2009 tan in color Jeep Patriot,” according to the report. “He was trying to get home to find his cellular phone,” according to his story. Willis was released on $1,000 bond the next day. He’s a Florida Native, born in Haines City.